Showing results by publisher "Lisa Scott Macdonough"
Need a little love? Flirts! 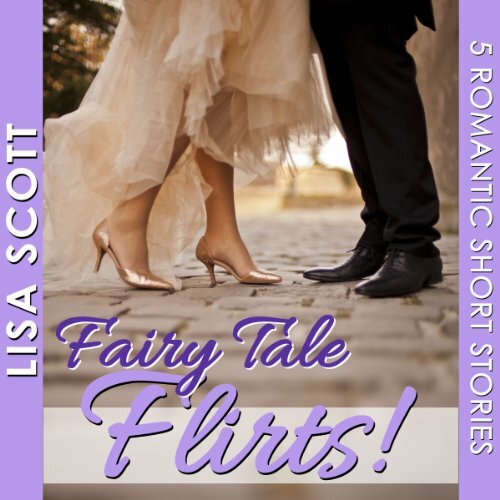 5 Romantic Short Stories features five contemporary romance shorts that stand alone, but also connect to each other. It all ties up in a fab happy ending. The stories include "The Hot Girl's Friend", "Wrong Place, Right Guy", "Not You", "Desperately Seeking Cupid", and "Never Been Dumped." 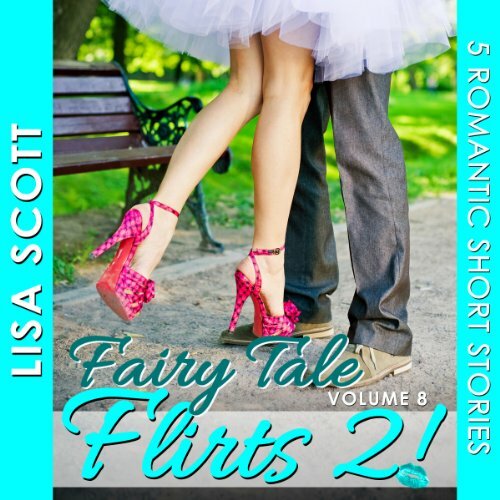 Look for Lisa's other collections: Beach Flirts!, Holiday Flirts!, Fairy Tale Flirts! and Wedding Flirts!. Get in the holiday spirit any time of year with these funny, sweet romantic short stories. In "Spooked by Love," after divorcing her husband, Marnie's afraid to trust her heart again. Her ex is moving on fine, but she hasn't even been on her first post-divorce date. She can't handle another break-up. Then she meets a hot single dad at her daughter's Halloween party and he's got his eye on Marnie. The only problem: he claims he's just out for fun. Is anything scarier than giving romance a second chance? Office Flirts! features five funny, romantic short stories set in the zany workplace of Dunner Advertising where pranks rule, secrets abound, and nothing's off-limits for the office pool. Follow the employees as they find love, laughter, and heartbreak on the job. These five stories stand alone, but also connect to each other. All of the characters come together at the end for a fab conclusion. Enjoy them during your lunch break or listen to them all at once. Five favorite fairy tales transformed into modern love stories that unfold on Neverland Island, a fictional summertime amusement park. The magic in these tales comes from the heart, not a wand. The sweet, romantic short stories stand alone, but also connect to the others in the collection. With her sister's wedding looming, Elizabeth Marshall decides it's time to buy a house on her own. She gave up on guys a while back. (It'll be her and fifteen cats, soon enough, if she survives her sister's out of control wedding plans.) But none of the seemingly perfect houses appeal to her; it's her realtor, Henry Watson, who's meeting all her specs. And Henry's using some risky and racy methods to help her discover what she really wants. Is he hot for more than just a deal? Or is she headed for heartbreak again? Five sweet and sassy romantic short stories that stand alone but also link together when read as a collection. Life and love is a lot trickier for the Carter kids after a surprise multi-million dollar inheritance. Follow the five brothers and sisters through their rocky romances, disaster dates, and happy endings. 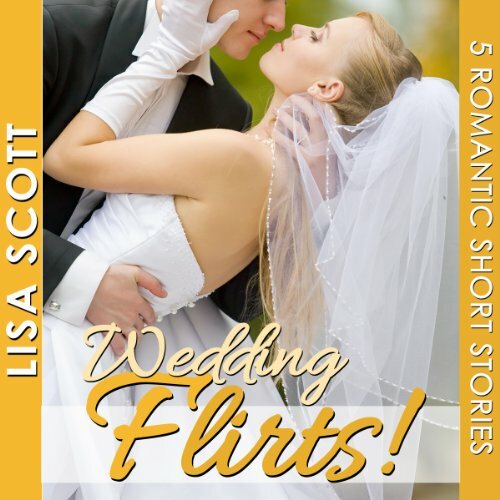 It's wedding season and love is in the air with five romantic short stories. From bridezilla - and groomzilla - to lost loves and new starts, these short stories will take you on a sweet, funny, wild trip down the aisle. The short stories stand alone, but they also link together with a loose thread that ties up in a perfect, happy ending. Where do you find secret crushes, old flames, and regret galore? At any class reunion, of course. Reunion Flirts! features five sweet, funny, romantic short stories, set at a ten-year high school reunion. These stories stand alone, but when read as a collection, they link together. Five modern takes on classic fairy tales, and the only magic is the real-life kind. The stories can be listened to separately, but are linked together in the collection, and wrap up in the perfect happily ever after. Beach Flirts! 5 Romantic Short Stories is set in the summer sun on Cape Cod. Fun, sweet, and sassy love stories to squeeze into your busy life. Discover the loose thread that connects the stories and ties up in a perfect, happy ending. Each short story is 9,000 - 12,000 words in length.